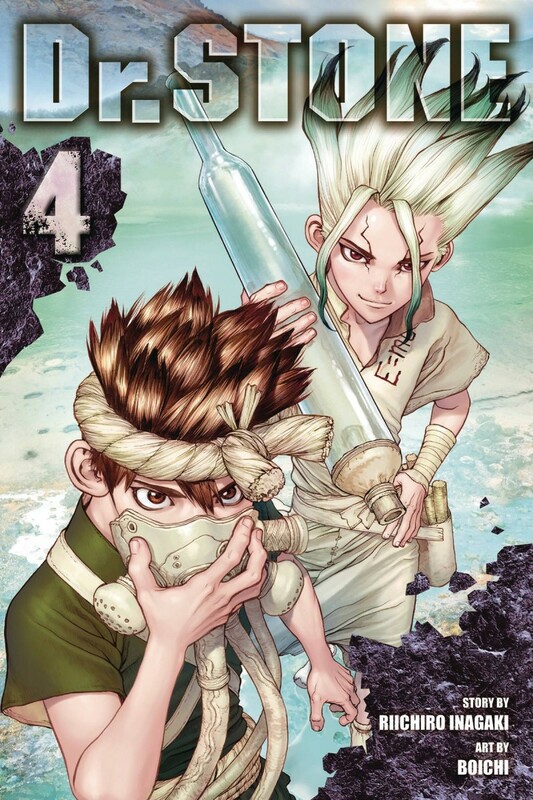 Senku and friends continue their quest to procure a sulfa drug panacea for Ruri, the village shamaness who is gravely ill! The toughest ingredient to obtain is sulfuric acid, the search for which will lead them on a death-defying journey! Meanwhile, the Grand Bout Martial Arts Tournament approaches, with the chief’s throne offered as a prize to the winner!